Minato, S., Ghose, R. and Osukuku, G., 2018, Experimental verification of spatially varying fracture-compliance estimates obtained from amplitude variation with offset inversion coupled with linear slip theory, Geophysics, 83, WA1-WA8. Minato, S., Ghose, R., Tsuji, T., Ikeda, M. and Onishi, K., 2017, Hydraulic properties of closely spaced dipping open fractures intersecting a fluid-filled borehole derived from tube wave generation and scattering, Journal of Geophysical Research: Solid Earth, 122, 8003-8020. Tsuji, T., Minato, S., Kamei, R., Tsuru, T. and Kimura, G., 2017, 3D geometry of a plate boundary fault related to the 2016 Off-Mie earthquake in the Nankai subduction zone, Japan, Earth and Planetary Science Letters, 478, 234 – 244. Minato, S. and Ghose, R., 2017, Low-frequency guided waves in a fluid-filled borehole: Simultaneous effects of generation and scattering due to multiple fractures, Journal of Applied Physics, 121, 104902. Minato, S. and R. Ghose, 2016, Enhanced characterization of fracture compliance heterogeneity using multiple reflections and data-driven Green's function retrieval, Journal of Geophysical Research: Solid Earth, 121, 2813-2836. Minato, S. and R. Ghose, 2016, AVO inversion for a non-welded interface: estimating compliances of a fluid-filled fracture, Geophysical Journal International, 206, 56-62. Nishitsuji, Y., Minato, S., Boullenger, B., Gomez, M., Wapenaar, K., and Draganov, D., 2016, Crustal-scale reflection imaging and interpretation by passive seismic interferometry using local earthquakes, Interpretation, 4 (3), S29-SJ53. Minato, S. and R. Ghose, 2015, Nonlinear imaging condition and the effect of source illumination: Imaging fractures as nonwelded interfaces, Geophysics, 80, A25-A30. Minato, S. and R. Ghose, 2014,Imaging and characterization of a subhorizontal non-welded interface from point source elastic scattering response, Geophysical Journal International, 197, 1090-1095. Minato, S. and R. Ghose, 2014, Power spectral density of the heterogeneous fracture compliance from scattered elastic wavefield, Geophysics, 79(2), D67-D79. Minato, S. and R. Ghose, 2013, Inverse scattering solution for the spatially heterogeneous compliance of a single fracture, Geophysical Journal International, 195, 1878-1891. Minato, S., T. Matsuoka and T. Tsuji, 2013, Singular-value decomposition analysis of source illumination in seismic interferometry by multidimensional deconvolution, Geophysics, 78(3),Q25–Q34. Minato, S., T. Tsuji, S. Ohmi, and T. Matsuoka, 2012, Monitoring seismic velocity change caused by the 2011 Tohoku-oki earthquake using ambient noise records, Geophysical Research Letters, 39(9), L09309. 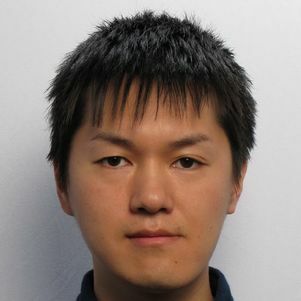 Minato, S., T. Tsuji, T. Matsuoka, and K. Obana, 2012, Crosscorrelation of earthquake data using stationary phase evaluation: Insight into reflection structures of oceanic crust surface in the Nankai Trough, International Journal of Geophysics, 2012, Article ID 101545, 8pages. Minato, S., T. Tsuji, T. Matsuoka, N. Nishizaka, and M. Ikeda, 2012, Global optimization by simulated annealing for common reflection surface stacking, and its application to low-fold marine data in Southwest Japan, Exploration Geophysics, 43(2), 59–69. Minato, S., T. Matsuoka, T. Tsuji, D. Draganov, J. Hunziker, and K. Wapenaar, 2011, Seismic interferometry using multidimensional deconvolution and crosscorrelation for crosswell seismic reflection data without borehole sources, Geophysics, 76, SA19–SA34. Minato, S., T. Tsuji, T. Noguchi, K. Shiraishi, T. Matsuoka, Y. Fukao, and G. Moore, 2009, Estimation of detailed temperature distribution of sea water using seismic oceanography [in Japanese], BUTSURI-TANSA, 62, 509–520.